Not Your Average Little Red Wagon! One thing I like about living in Etiwanda is that here and there you will find a glimpse into its rural past. Orange groves, vineyards and wineries these all give Etiwanda personality. Driving down Etiwanda Avenue you may have noticed this little red wagon, okay …. red tractor. It’s not everyday you find a tractor for sale in front of someones house. 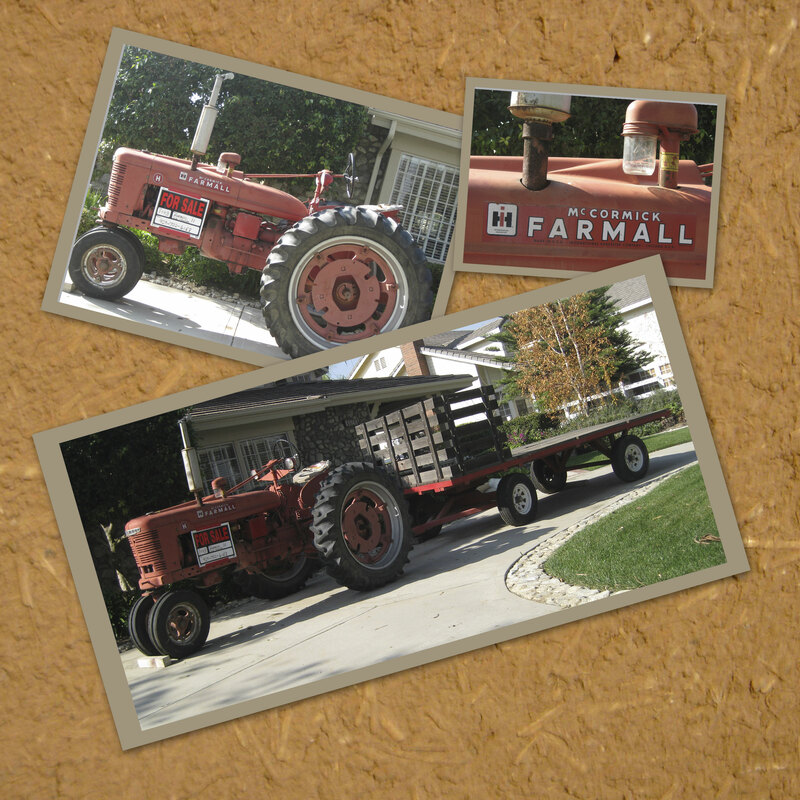 This is a 1943 Farmall H tractor with stack-side trailer. It turns out that this tractor has local history, maybe not in the fields, but still history. When Etiwanda Community Church was having an event, picnic, luncheon the owner would take the tractor down and give hay rides around the neighborhood. Sounds like a fun time, if only the trailer could tell us the stories. Could you picture it all decked out for the Holidays? If anyone remembers those days and getting a ride – please feel free to comment, tell us what it was like.